Foodies unite! This is the time of year when everyone starts thinking about gathering stocking stuffers for their loved ones. Besides the usual lip balm, scented lotion and ubiquitous chocolate bar and socks, the food lover in your life would love to receive some delicious ingredients, snacks or small kitchen tools to round out Santa’s fireside drop. Sitting in the car while making the trip back from the Thanksgiving holiday, I've been thinking not only about what I want in my stocking but what food-focused things the people in my life are lacking. (No, I am not driving at the moment, although I have been known to voice record portions of blogs while driving). Before moving to Dillon to work for Great Harvest, I lived the better part of eight years in a small town on the Olympic Peninsula of Washington state called Port Townsend. After spending a few days back there, perusing (and purchasing) my way through some of the shops that have sprung up in this little paradise since I left, it got me thinking about interesting gifts for food enthusiasts this season. One of Port Townsend’s foodie gems is a store completely devoted to casks of olive oils, vinegars, and other must-haves from around the world. 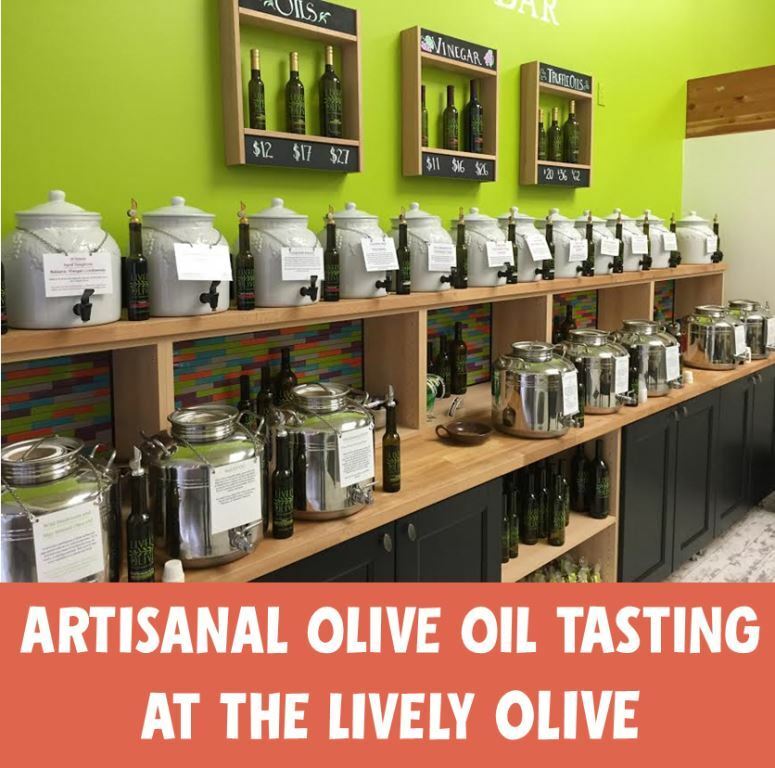 The Lively Olive has dozens of different olive oils on tap and provides opportunities for unlimited tastings (complete with bread from the local bakery). As the Bread Business Chef, I had an immediate connection with the owner and after a half hour of tasting I began to understand that the variances in flavor and applications of olive oil are as varied as wine. A bottle of really good olive oil makes a great stocking stuffer. I am talking about dish-finish drizzling, bread plate wiping, fruity, spicy goodness. Not the olive oil that you cook with (although they have that there too). This is olive oil that you could drink straight up and go back for more. Notes of pepper and pine, citrus and granny smith apple, or almond and fresh cut hay. Paired with a loaf of crusty Great Harvest bread, oil like this can be a religious experience. I bought a few bottles, filled to order – and thought about who the lucky recipients might be . . .
Next door to the Lively Olive is a shop totally dedicated to spices, spice blends, rubs, flavored sugars, salts, and tea. A franchise like Great Harvest, The Spice & Tea Exchange is a little bit like a chef’s candy store – I spent an hour making my way through their offerings, smelling and tasting countless varieties of fragrant individual spices, blends, and salts. They offer everything in convenient 1 and 1 ½ oz. bags. I settled on some berbere (a fiery Ethiopian spice blend), Szechuan peppercorns, truffle salt (OMG, have you tried this on popcorn with some micro-planed Parmesan?? ), Genmaicha tea (an addictive Japanese green tea flecked with puffed brown rice and popcorn), a plastic pepper grinder filled with hot chilies (brilliant! ), and za’atar (a sumac and sesame-laced blend that is best mixed with olive oil as a dip for feta or bread). Any of these would make a brilliant stocking stuffer for the foodie in your life. I would be happy to receive even just one of these on Christmas morning. 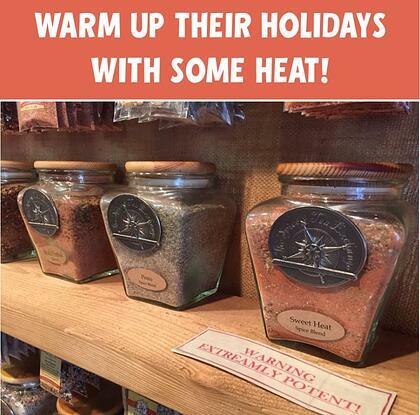 But there are hundreds of other possibilities at this store and others when it comes to spices, blends, and rubs. What a fun way to give! A Benriner Japanese Mandolin. Absolutely essential in any cook’s arsenal. Most chefs keep one of these close at hand and bring it to jobs in their backpack. I consider it so essential that when I went to Port Townsend for Thanksgiving and discovered I’d forgotten mine we immediately ordered one and had it express shipped (thanks, Amazon Prime!) so we could julienne celery root, slice apples and pears, and make ultra-thin disks of radish. Bonus: I could show my mother how to use her new toy . . . I am sure she is now stumped as to how she got through decades of scalloped potatoes without it. A citrus press. You don’t really think that us chefs squeeze lemons by hand and then pick the errant seeds out of the bowl do you? These presses are essential to extract maximum juice and catch the seeds at the same time. I absolutely adore the aluminum one I brought back from a trip to a market in La Paz, Mexico a decade ago, but the stainless steel one linked above works just as good. An amazing pepper grinder. I say this mostly because out of any tool that is at somebody’s house where I go to cook, the inferior pepper grinder is by far the most common and the most frustrating. In fact, for people whose houses I find myself repeatedly having to prepare meals in, I buy them one as a gift —mostly so it’s there when I need it (hi, mom!). William Bounds in my opinion makes the best pepper grinders around, and I have been using mine many times a day for a decade. Do yourself a favor and buy the foodie in your life one of these for the stocking this year. 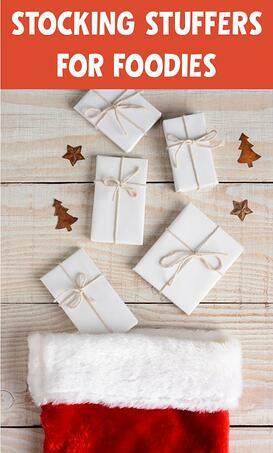 Do you have any favorite stocking stuffers for foodies to share with the rest of us? I’d love to hear about them below. an easy stocking stuffer for Great Harvest Bread Co. lovers: gift cards! 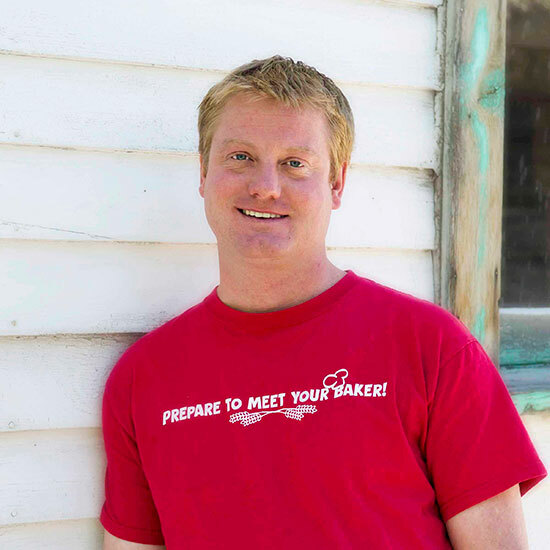 Read more from the Bread Business Chef here. Image credit: © Can Stock Photo, modified by text overlay.